The Queen Elizabeth II Diamond Jubilee Medal or The Queen's Diamond Jubilee Medal is a commemorative medal created in 2012 to mark the sixtieth anniversary of Elizabeth II's accession to the thrones of the Commonwealth realms. Only 10 Queen's Diamond Jubilee Medals were awarded to Australia. These were presented to the living Victoria Cross, Victoria Cross for Australia, George Cross and Cross of Valour recipients. 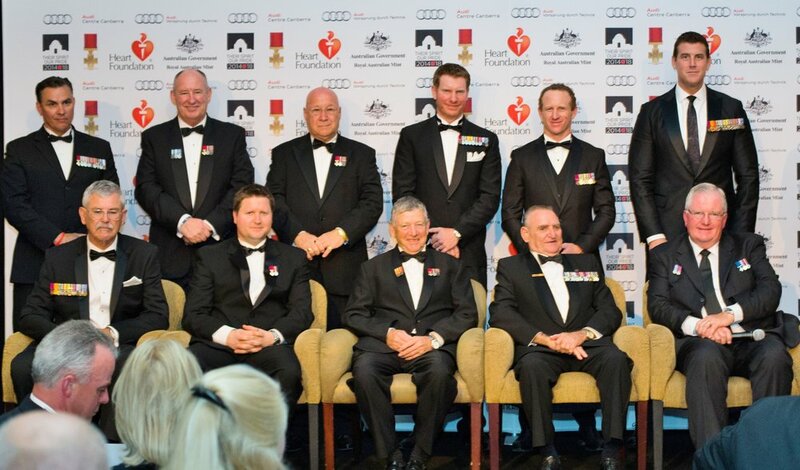 The first and only time all living Victoria Cross, Victoria Cross for Australia, George Cross and Cross of Valour recipients were gathered together was at the Hearts of Valour Ball in Canberra in February 2015. Also joining the recipients was Mr Doug Baird, father of Corporal Cameron Baird VC,MG who was posthumously awarded the Victoria Cross for Australia. Corporal Baird was the fourth Australian to receive the Victoria Cross for Australia and the 100th Australian to receive a Victoria Cross since the award was first was created by Queen Victoria in 1856.